I've been creating since I was a child. My hobbies include watercolor, drawing, art journaling, painting rocks, sewing & crochet. 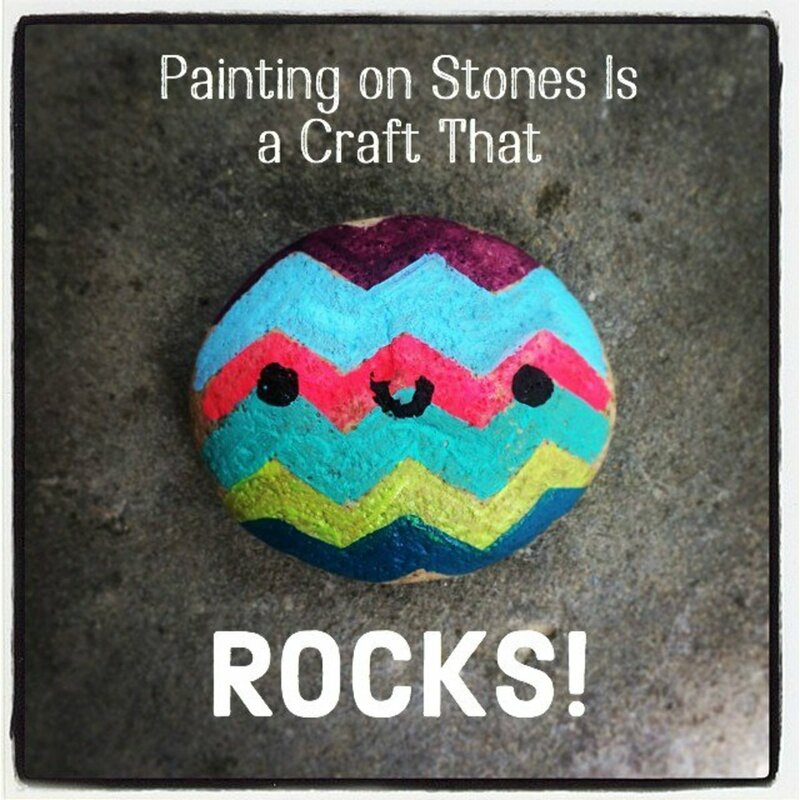 Painting rocks and stones is fast becoming a popular craft activity. 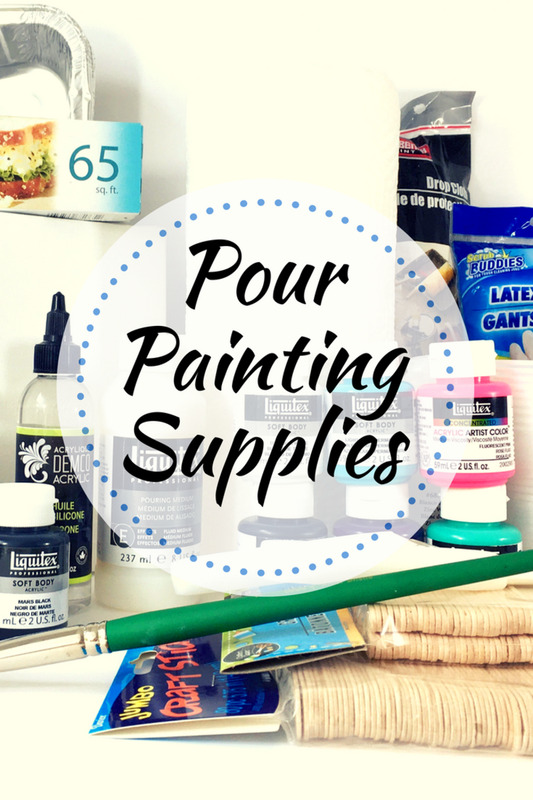 The reasons why are clear: rocks, stones and pebbles are freely available, acrylic craft paints are relatively inexpensive and other supplies are minimal. 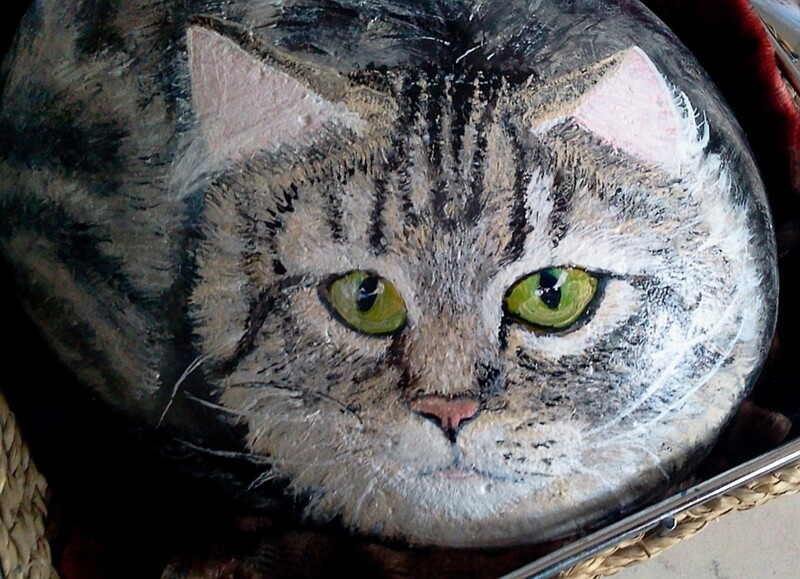 Another, important reason is that it is quite easy to paint onto a rock – much easier, in fact than painting on to flat paper. 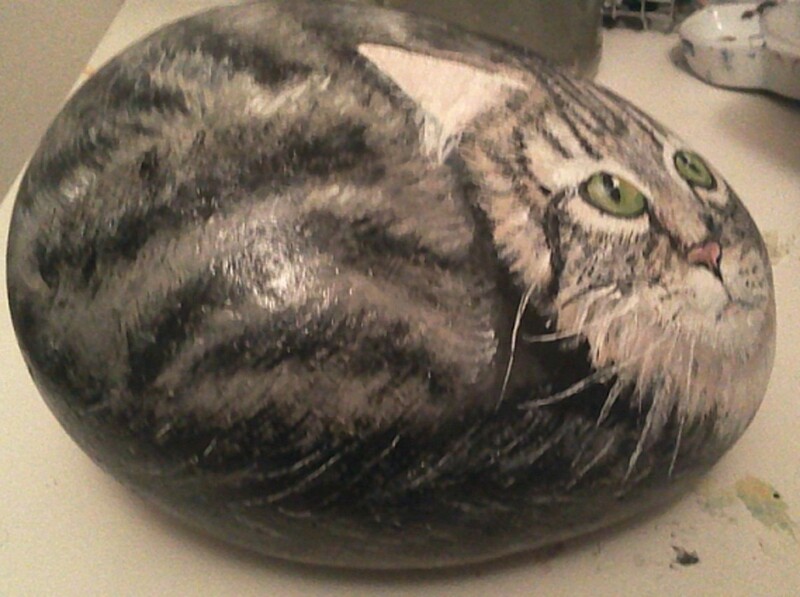 The most popular subjects for painting rocks are animals. This is because they lend themselves perfectly to oval and round shapes. 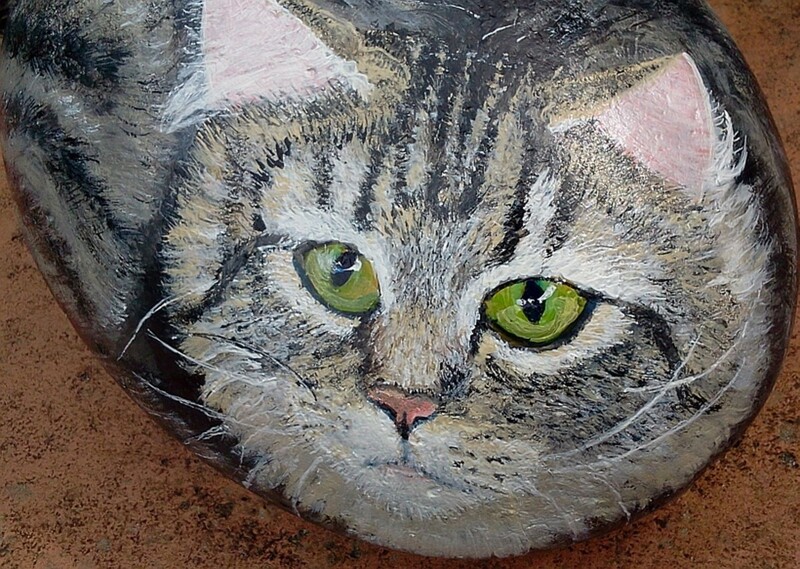 In this article, I demonstrate a step-by-step method of painting a cat on a rock, including putting mistakes right! The paint I am using is Claudine Hellmuth Studio in 'blank canvas' (white), 'charcoal black', 'sable brown', and the very useful 'tradtional tan'. I also use a tiny touch of 'classic teal' and 'dab of yellow' for the eyes. I have a set of 2oz pots but they are also available in mini-sets of half oz bottles. This paint is the perfect consistency for painting rocks. I have also heard that Folk Art paint is good too. 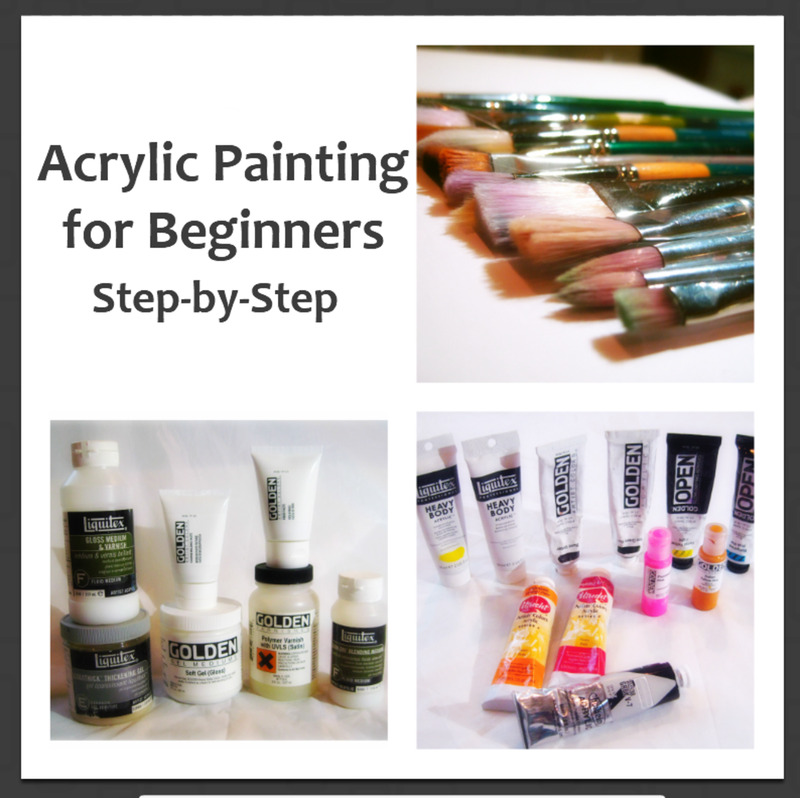 It is possible to use regular heavy body acrylic but you will have to play around with adding water to get the right consistency. 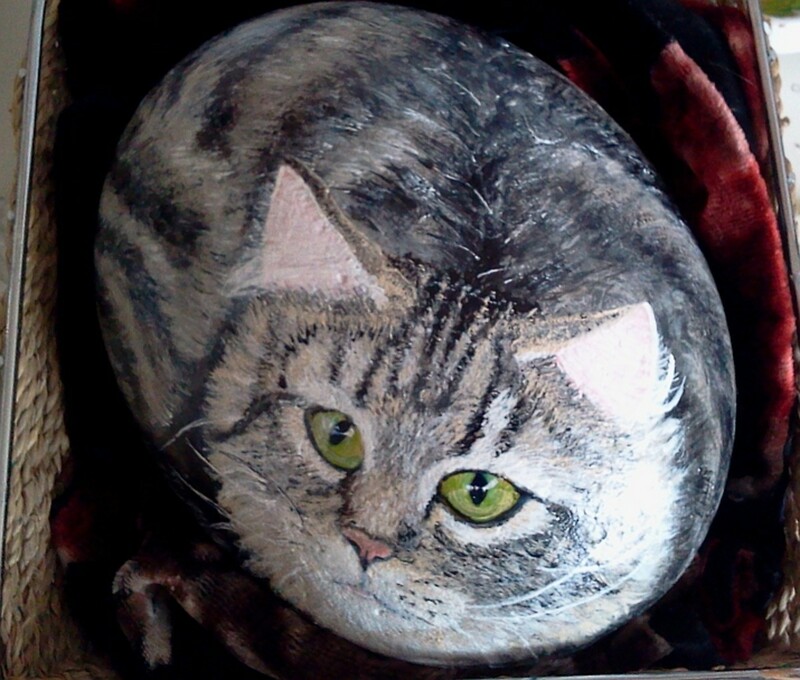 The rock I have chosen is a little smaller than an average cat but that's fine – it's pretty heavy as it is. It is oval, with a flat bottom. 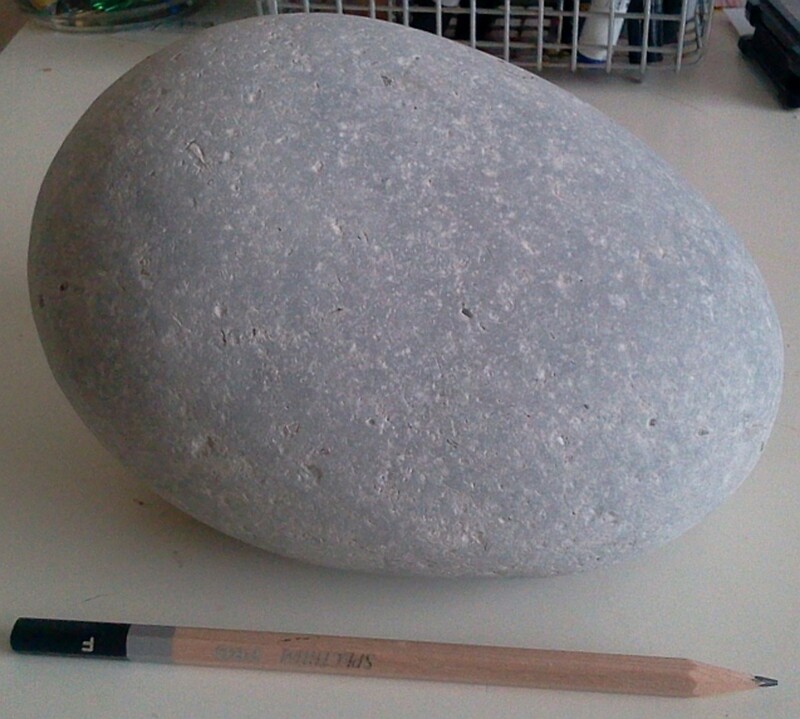 One end of the rock is fuller and rounder than the other, almost egg-shaped. 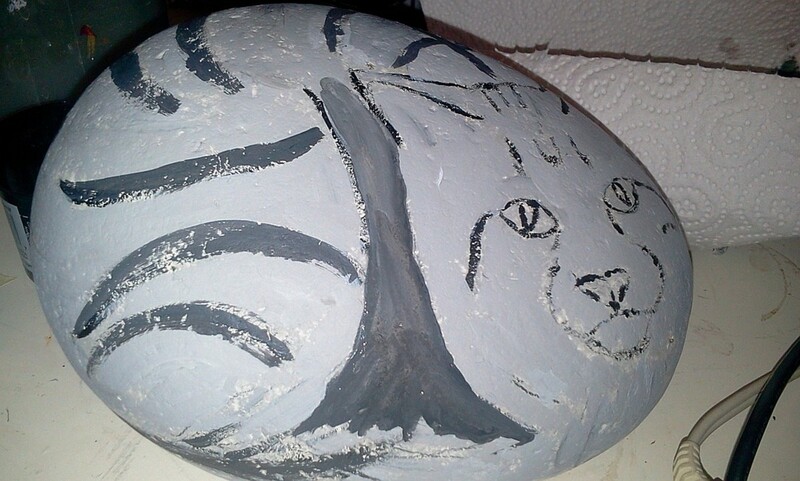 This shape of rock is perfect for painting a resting cat. 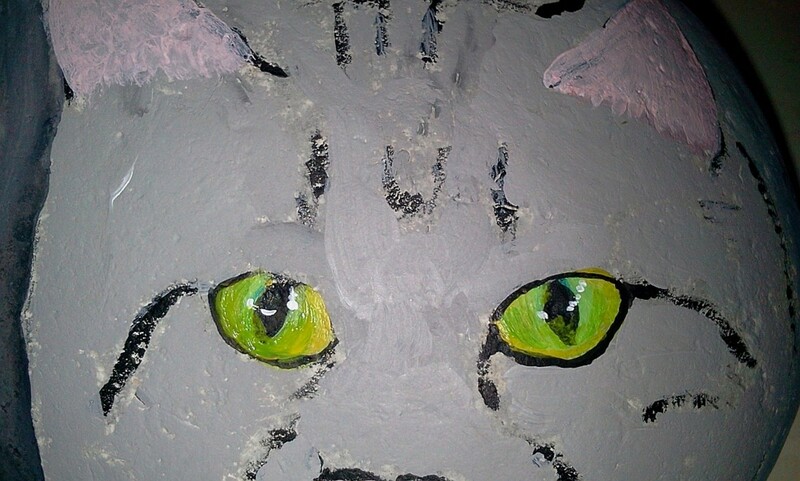 The cat I am painting is Neska. 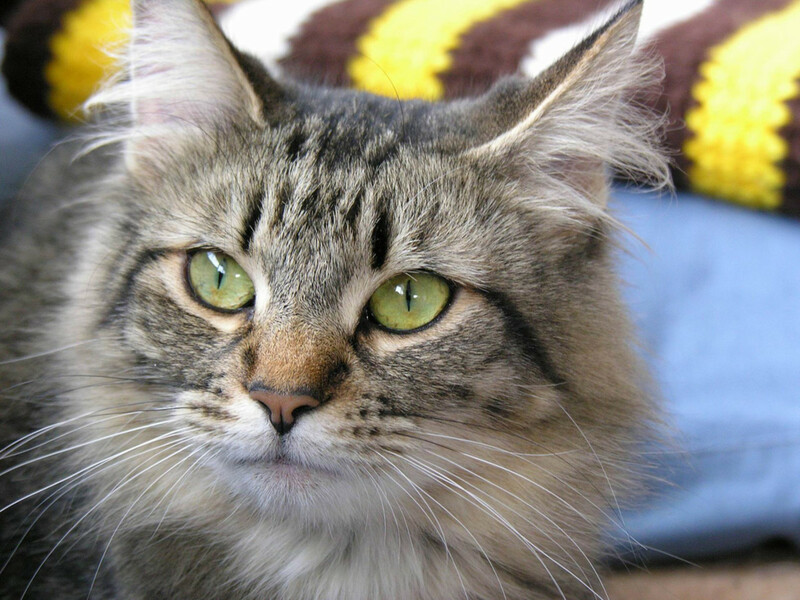 Her owner has kindly shared photos of her on Flickr under a Creative Commons license. This means that anyone is free to make derivative works from the photos. Additionally, the photos are of Neska from several angles, meaning that I can even see her fantastic fat and fluffy tail, which will curl around the rock version. 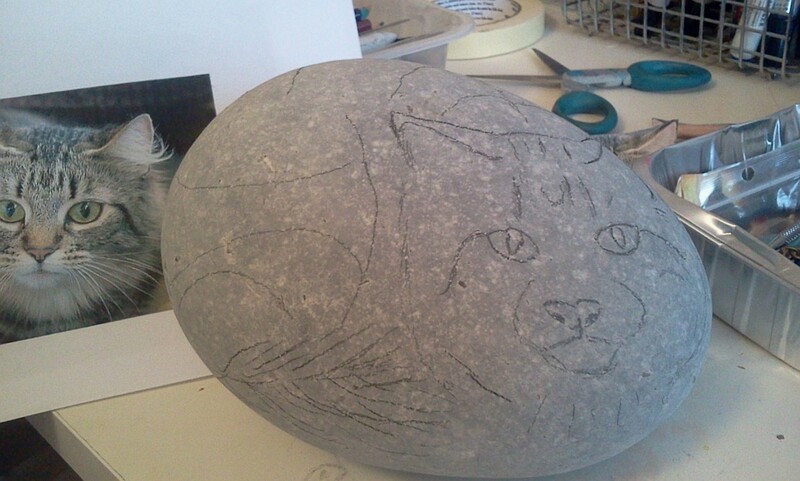 The method I use for drawing my cat face is usually just to copy it right on to the rock with a pencil, but if you want an accurate likeness of a particular pet and aren't confident in your drawing skills, then print out a suitably sized photo of the cat – head only. 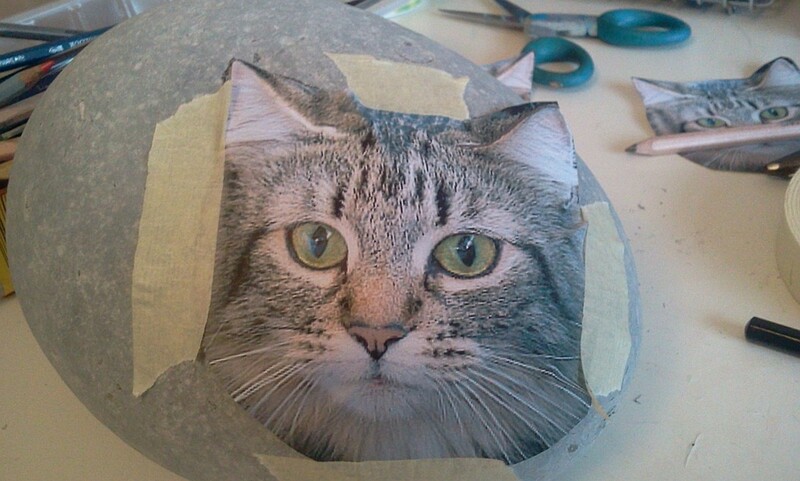 I usually print out several sizes as I have a tendency to make my cats' heads too small. 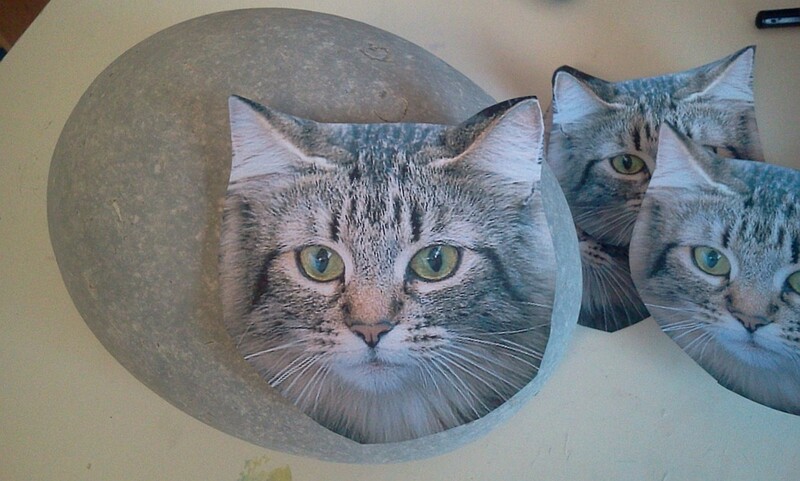 Decide where you want the head positioned on the rock and lay the photo on top of a piece of artists' transfer paper, tape them in place and trace the main features directly on to the surface of the rock. Another method, if like me, you haven't any artist's transfer paper to hand, is to print a copy of the photo and cut out the head, turn it over and lay on a thick application of a very soft pencil. Tape the image to the rock and use a sharp instrument to trace over the features. The outline produced will be faint but you can go over it with a pencil, using the original photo as a reference. 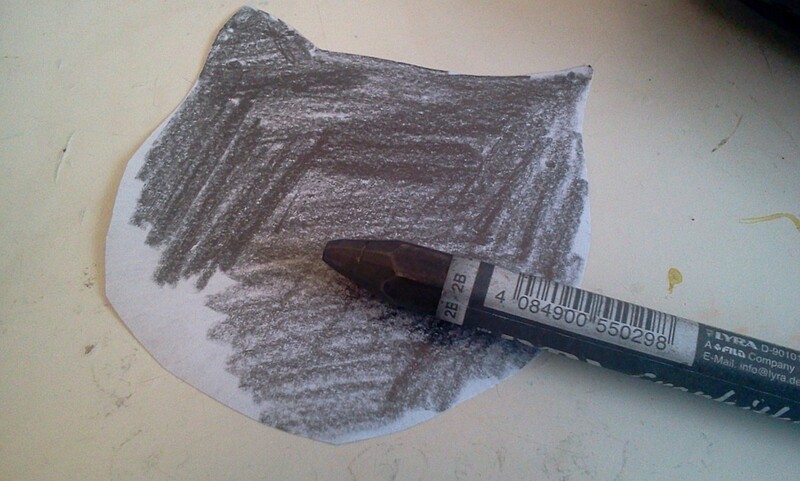 Use a fine brush and your black paint to go over your pencil outlines. 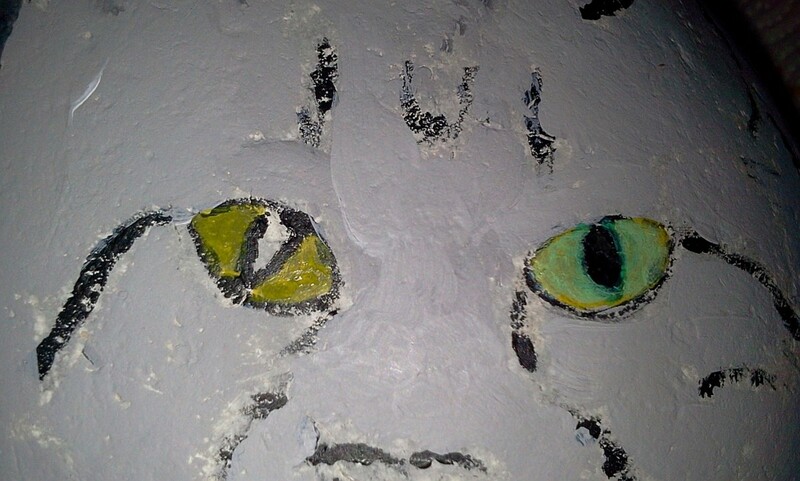 These painted outlines will form the basis of the cat's stripes and shadows. Go lightly, if you can. 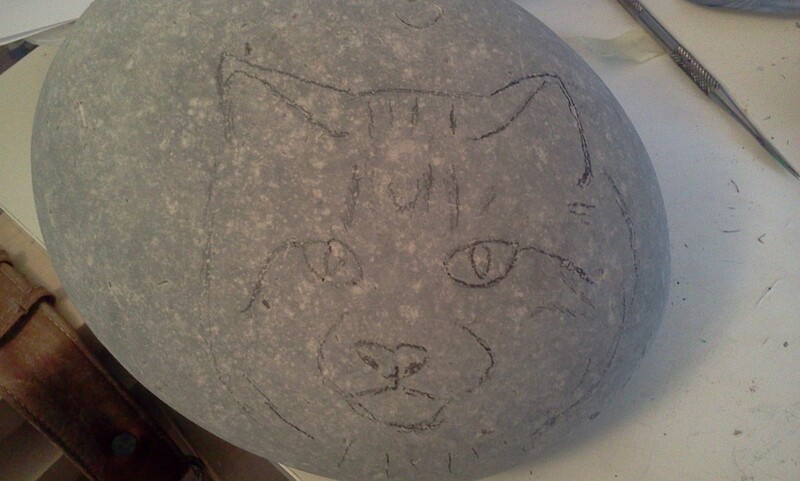 Even though Neska is a silver tabby, there is an underlying warm tone in her coat, so this will be my base color. 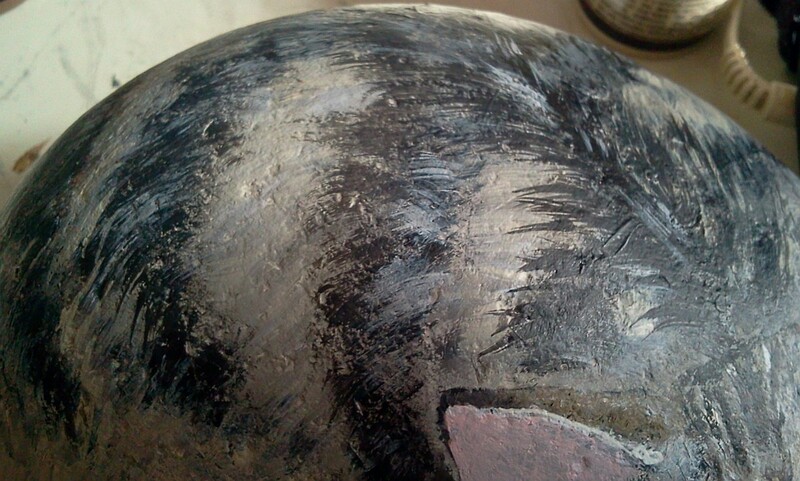 Paint on the base coat, avoiding the black outlines, if possible. 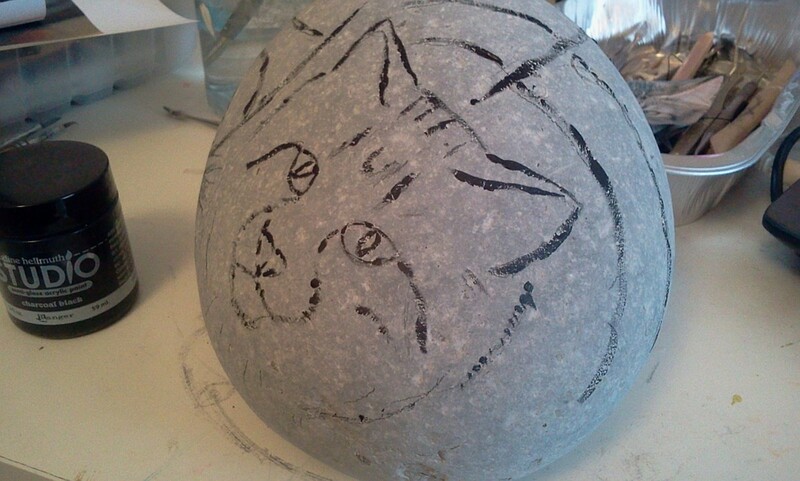 Don't worry if the surface of the stone peeks through – cats have heavily textured coats and you will be painting over all of this eventually. You can see mine is still very 'rough and ready'. I always go straight to the eyes and complete them to about 75%. 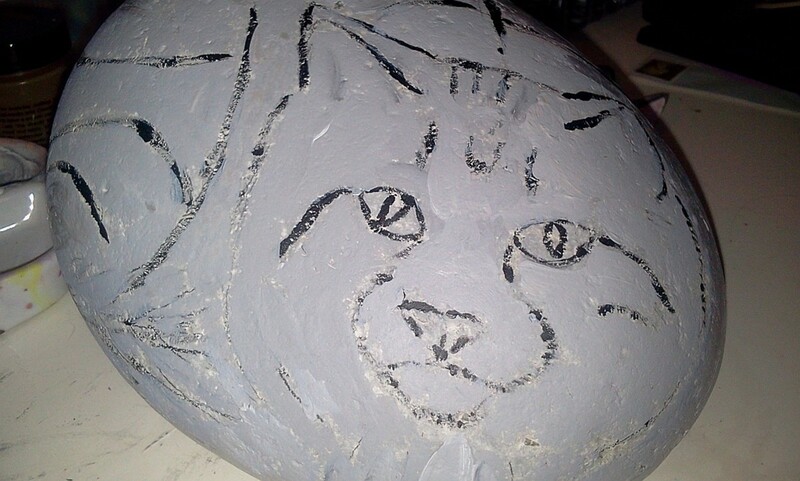 In this way, I feel as though the rock becomes more cat than rock, if you know what I mean? Neska's eyes are slightly different colors in the photo because the light is coming in from her right side. This also causes some blue-ing around the iris. Those details will be left until later. It is important to get the eyes right – when looking at an animal rock painting, it is always the eyes that grab your attention first. Notice that Neska has black 'eyeliner' but in the photo, you can't see it all as it is hidden by the top lids. 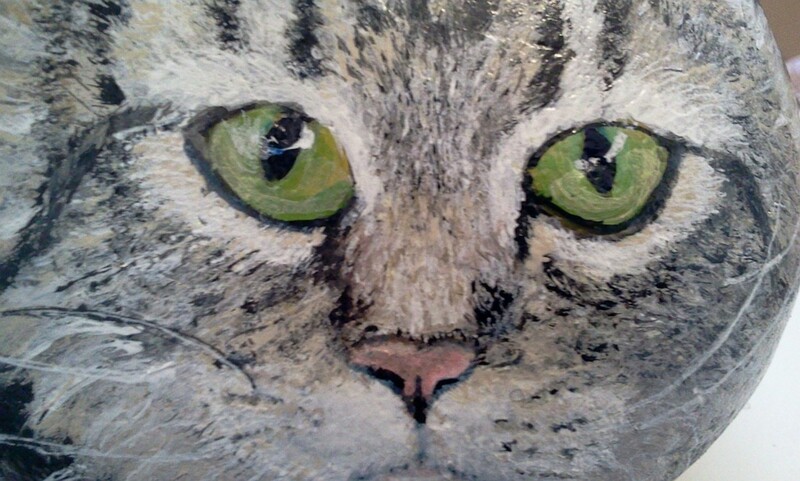 While the eyes are drying, I paint a light pink inside the ears and on the nose. Neska has a lot of light tan on her face, particularly around the nose area. 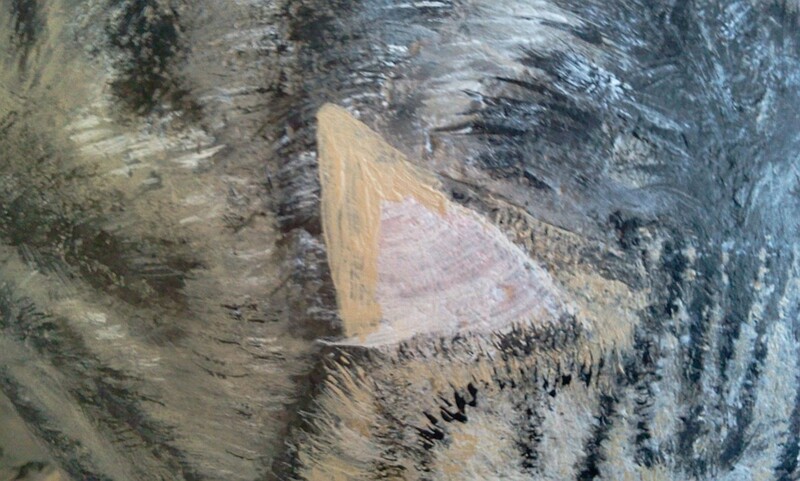 I block in some of these areas, with an undertone of sable brown. She also has a lot of white interspersed with tiny tan and black hairs. I decided to apply all the white and then later go over with additional color. 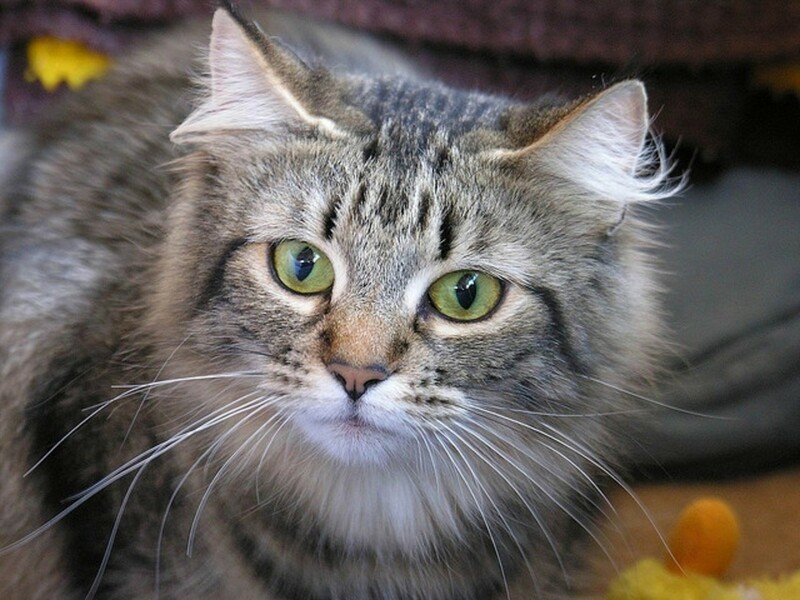 Determine the colors of your cat's face and, being careful to pay attention to the direction of the hair, use a scruffy brush to make short fur strokes in the main color. At this stage, you are beginning to build up layers. Just keep going. Work on the face building up layers of fur, adding detail as you go. 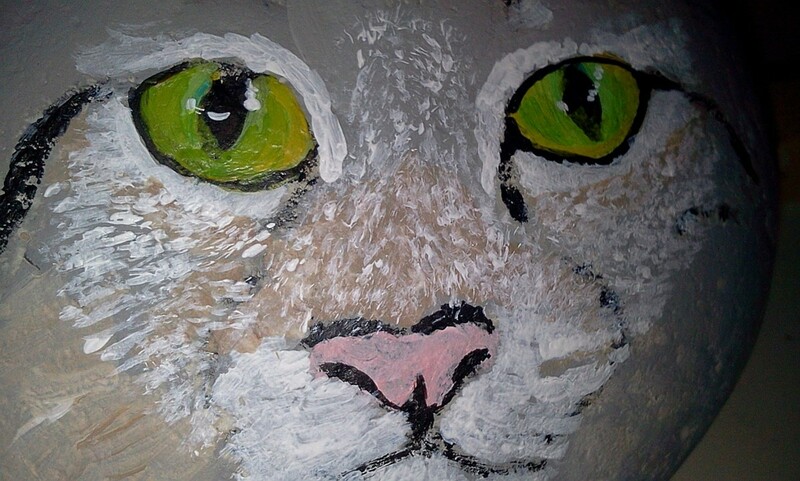 Don't paint the ear furnishings (long hairs) or the whiskers until the very end. Notice where there is shadow and gradation of color. It's a long slow process, so put on some relaxing music or a radio play. There is a stage in all animal portraits where the painting looks pretty dreadful. Nothing seems to be right. This is normal – Lee Hammond, the author of many acrylic instructional books, in her book, Paint Realistic Animals in Acrylic, calls this 'the awkward stage'. It's the point where many beginners lose heart, not realizing that it has to go through this process. This is just a map of the painting. So, don't despair, just keep on powering through. The wonderful thing about acrylics is that you can paint right over many mistakes and adjust color and form as you go along. When you have had enough of the face, move on to the body. You can come back to the head with fresh eyes later. Work from the back of the head and spine, again, always in the direction that the fur grows. Don't be afraid to have some strokes crossing others. Use longer stokes to build up layers of fur. There are special brushes for painting fur, but I often hack away at an old stiff brush with scissors until it makes marks that I am happy with. I've yet to discover the perfect fur brush. Time for some remedial work to the face. 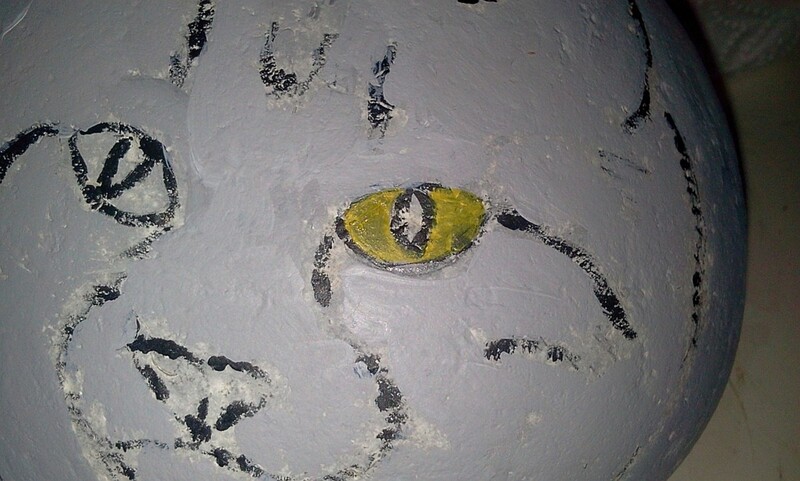 I decide that the eyes aren't big enough, so I paint over the existing 'eyeliner' to enlarge the eyes a little. Paint the dark rims back in and extend the white around the eyes. They are just about finished now. 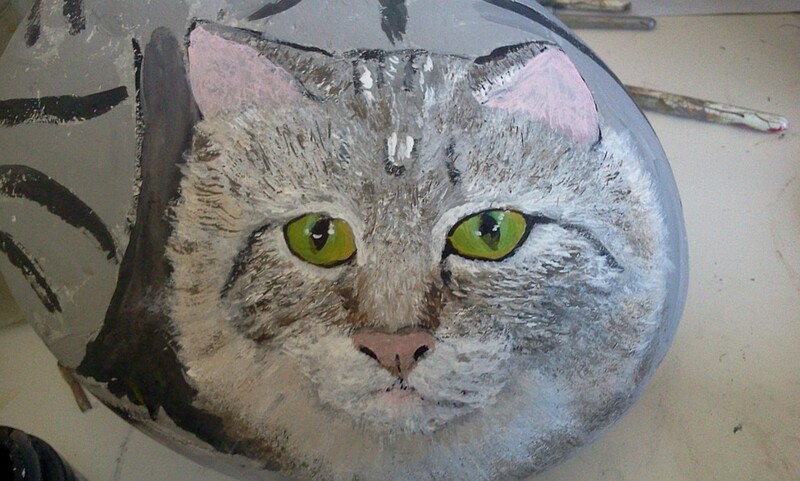 I add more white highlights around the face and use a white pen for the whiskers. Now is a good time to put the cat aside and reassess the following day. It's surprising how time away from the work can sharpen your judgment. Upon another critical look, it appears that the ears are a tad too small – can't quite work how that happened as I used a photo to trace the features. No big deal. I can just base coat around them and re-do them. The nose also needs adjustment - I painted over it with a light tan and repaint it in a tiny bit smaller. I want to share these 'mistakes' with you to show that anything can be fixed – it's never too late... well until you spray varnish, that is. As I'm not a perfectionist, if I was painting this merely for myself, I would leave the features as they were... I like a bit of quirkyness. However, as this is supposed to be a portrait of Neska, then I want it to have some resemblance to her! Time to touch up whiskers and highlights with my white pen. It's finished. All there is to do now is take the cat outside and spray it with about five coats of varnish. You can keep your cat outside but it should be brought in during winter. I have several that have survived all weathers really well, but two others have started to peel. I think it depends on the rock itself. Neska is going to be an indoor cat. 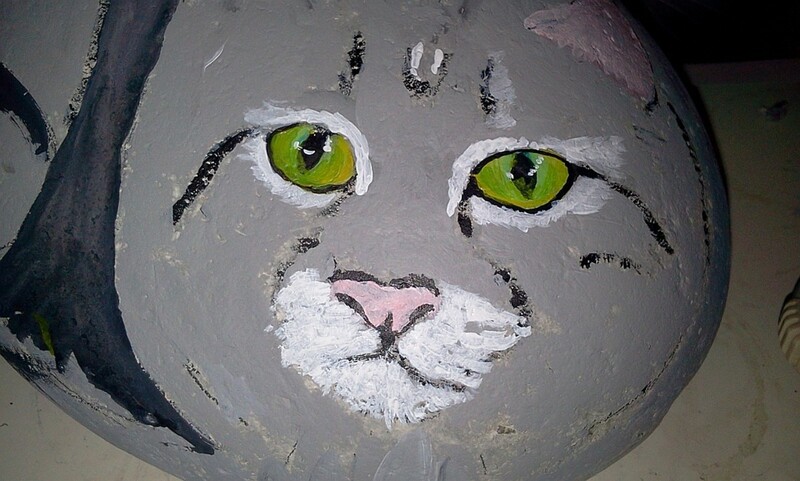 What color do I use for the nose of a cat portrait? It depends on what color your cat's nose is. Some are black or brown. This one is pink; darkened slightly with a little brown. What is the pen that you used? Also, can shiny acrylic be painted over without smudging? I used a pencil for the outline and went over it roughly with black acrylic paint. I use a Uniball Signo white pen for final details. 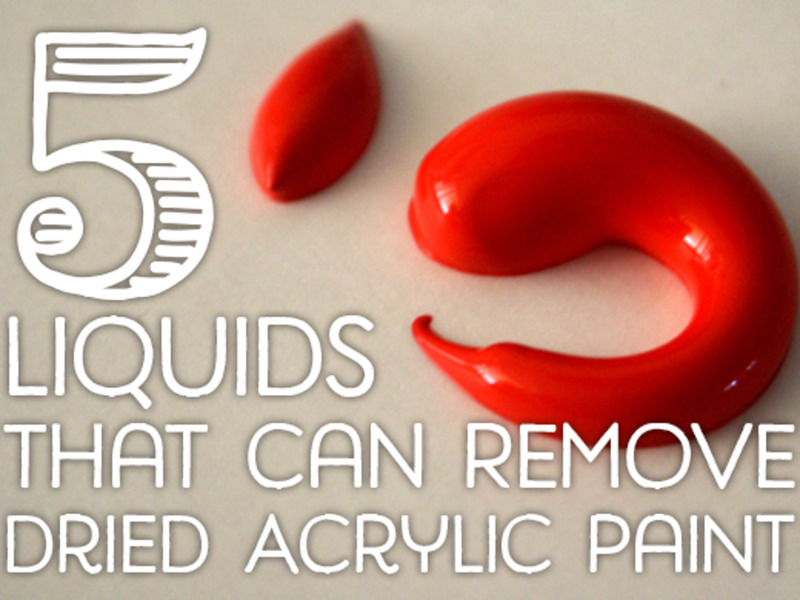 Yes, you can paint over dried acrylic as long as it isn't varnished. 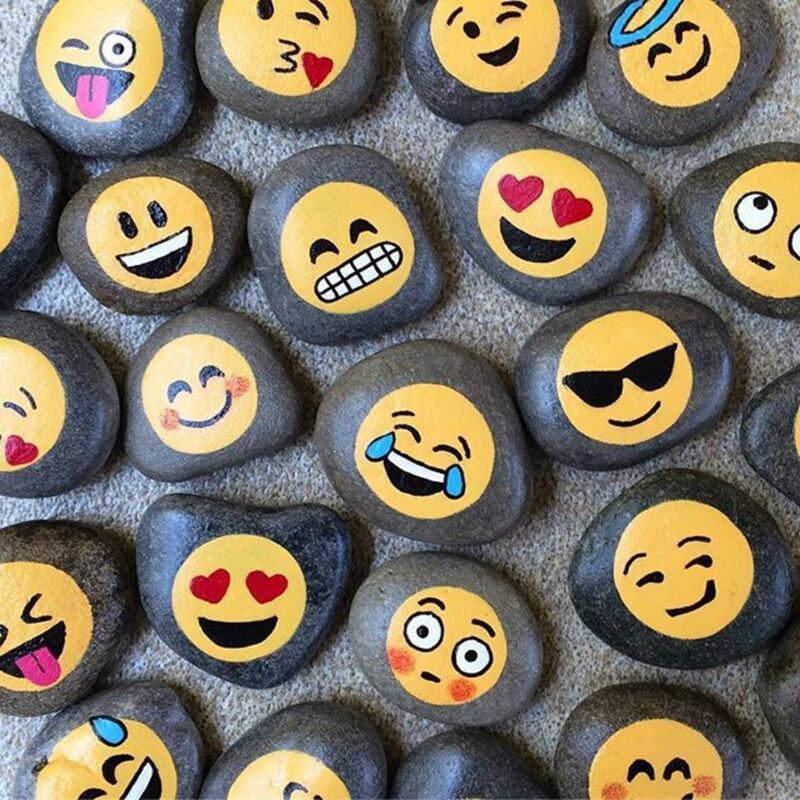 Comments - Are You Going to Paint a Rock? Great how fresh and relevant this hub has remained over the years. 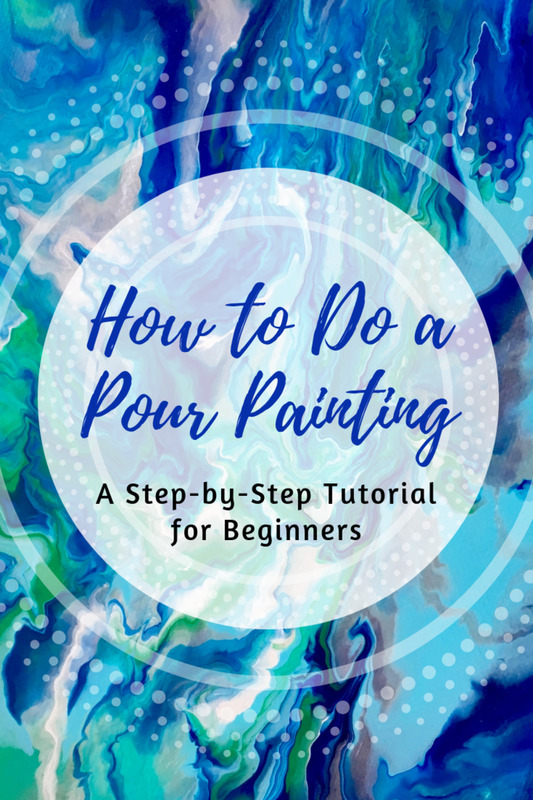 It is a great tutorial. Thank you. Hi Kate, I think the curve of the rock will help you, esp with cats. It will be lovely, I'm sure. 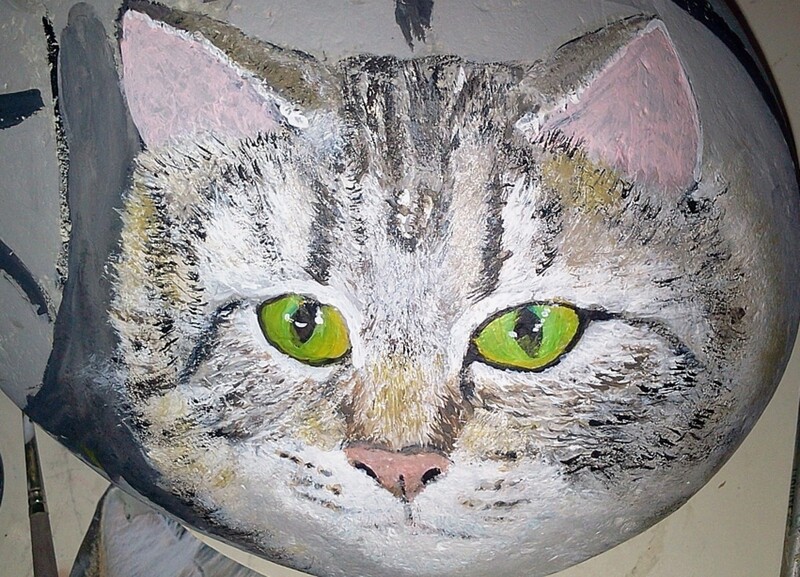 I did a cat on a terracotta pot for my daughter for Christmas. I'm going to have a go at rock painting next. I found that the curve of the pot was tricky so feel a bit nervous about rocks but do want to meet the challenge. Thanks for the tutorial it's very helpful. It's amazing how lifelike they can be, Barb. Hope you pick up your brushes again soon. So talented! Will have a go. Hi Diane, yes, there is definitely an ugly stage, but I think all art goes through that stage. Keep going, you might surprise yourself. Thanks for your comment. Awesome hub! Love your talent. This is amazing. It looks so real! ☺ I love it. You're so cool! Good step by step photos. This caught my eye but for sad reasons. We had to have our cat Dusty euthanized yesterday. He was in congestive heart failure and his quality of life was at an end. We did not want him to suffer. We are grieving his loss today. He was such a great cat and had coloring much like the one on your rock only with blue eyes. Thank you, Cheryl, Rebecca and Delores. Lovely to see you here. Glad you like the cat rock. Cheryl, I think it is easier to paint them in three dimensions. If you can paint cats already then these will be a breeze. I remember seeing these a few years ago in a little shop. The also had a fox and a hedgehog. I thought it was so cute. But yours is awesome. Many of us will try this at home. It will be an exercise in frustration if we want them to look like yours. But you make it look so simple. Rock painting could be fun for all ages. Thanks for sharing! I think so. I've painted cat portraits before, but not on rocks, at least as of yet. I'm looking forward to giving it a go. Thanks for the tips. Fantastic artwork - I'll have to have a go at this. Great Hub. Keep practicing, Linda. It's a craft, rather than an art. Have fun! I'm getting into rock painting, but nowhere near your level of expertise yet. 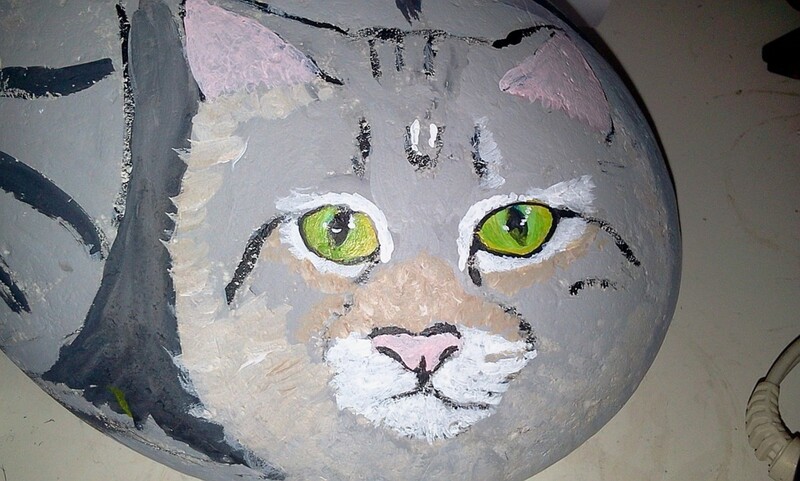 I love your cat rock!! Very interesting. you make it look easy. Beautiful job. Awesome! Beautifully done. It has to take talent and patience to make it turn out so well. Found your hub interesting and useful! : ) Thanks for the share. So funny. Thanks for the laugh! I can almost see the paint brush in hand, and hear the gears a-turning as your saying, "Wait! It will only take a second." That's right - I'm going to start on my children next! Thank you! Wow! Very clever. Who needs paper or a canvas board? This just goes to show you that everything is a canvas for art. Gypsy Willow, that's a lovely idea! Very inspiring! I have lost several pets through my lifetime. I am going to try to recapture their personalities by this method. Thank you! 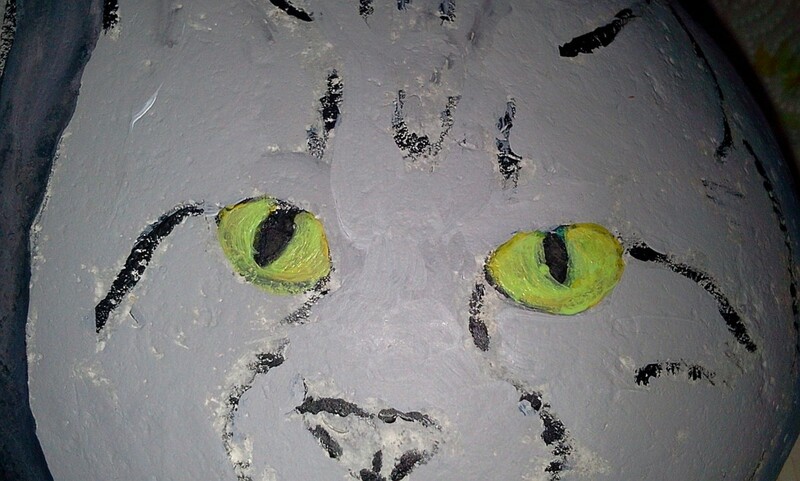 I am a bit of a dud at painting, but I love cats. I might even give this a try one day! This is really neat! 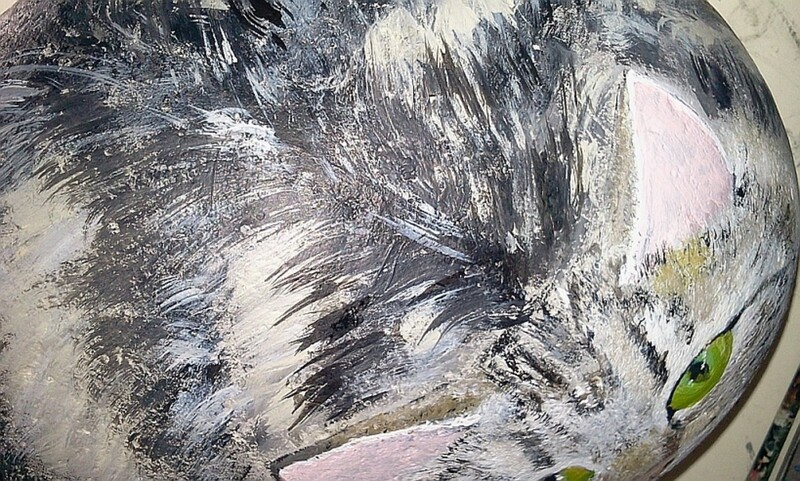 I love oil painting, and have painted several saw blades, but never a rock. I've got some acrylics - maybe it's time to break them out and paint a rock. I've even got a cat for reference pictures! Nooo... it's not difficult if you do it one step at a time. 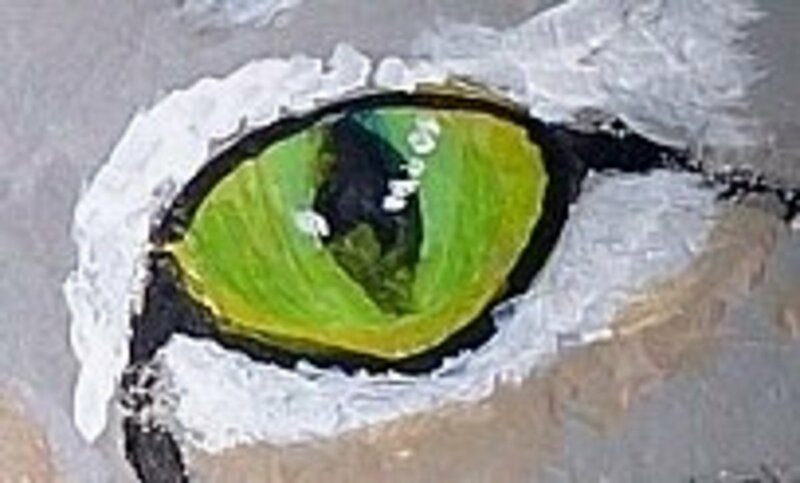 There are so many tutorials on YouTube to paint eyes, fur and the rest, you'd soon pick it up. I would love to think i could do this, but your cat is soooooo good it looks alive.... It will take so much practice for me. You are incredibly detailed and inspiring! 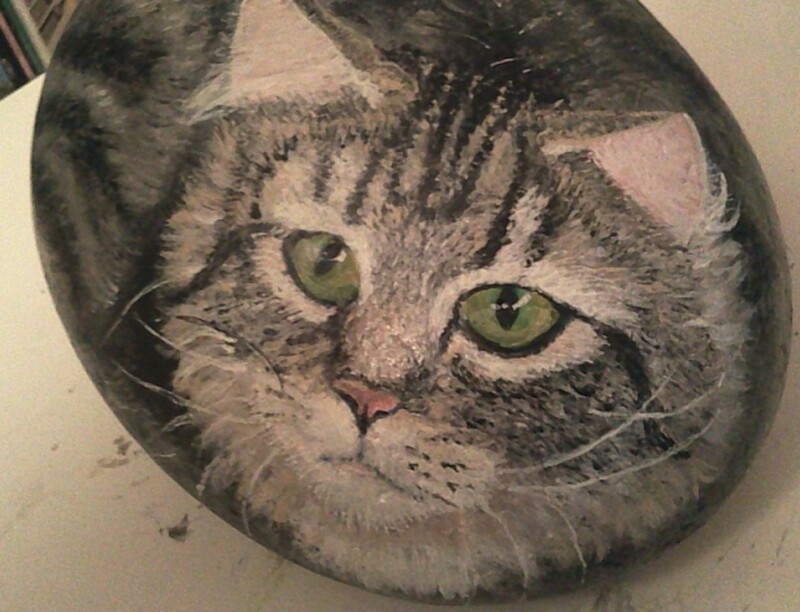 I am a sketch artist and I pick up those acrylics for craft work, but I have never tried to paint on a rock surface! I just never thought about it. I am so glad your hub came along. Thank you. I will give this a go. It looks like a tedious bit of fun ;). I love this hub, theraggededge! The finished rock is beautiful. Thank you very much for the instructions. I like to draw animals and plants, so this is one project that I am definitely going to try! Thank you, MrMaranatha and whonunowho. @whonunowho - wish I could see some of your painted rocks! Beautiful hub and I enjoyed it immensely. 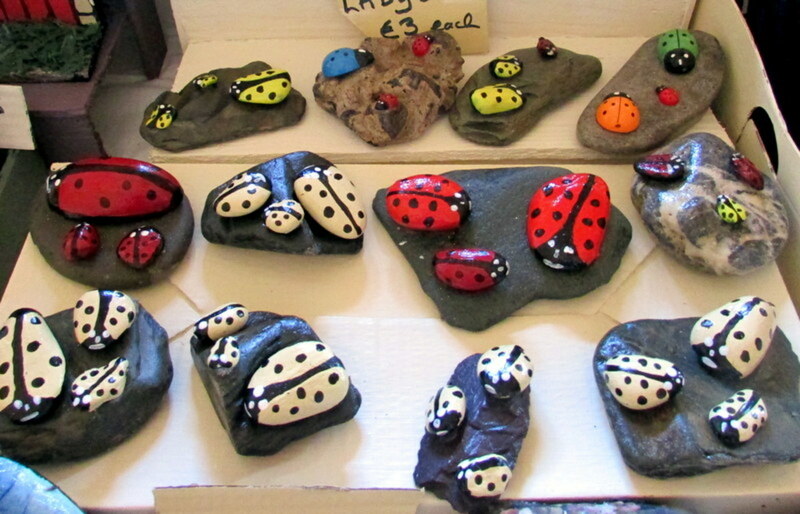 My wife and I once had a small business in which we included painted rocks and chose many subjects as our theme. We were quite successful for a long time in this and enjoyed the rock painting especially back then. Great hub. I like it!!! Good Work!!! Thank you, for your lovely comments! I've been painting this all weekend! Now, if I can figure out how to get rid of that huge expanse of white space, I'll be happy! I am in awe of your talent, Raggededge! Just fantastic. . . from certain angles, the rock looks like a real cat! Lovely. Maybe a hobby to take up sometime!